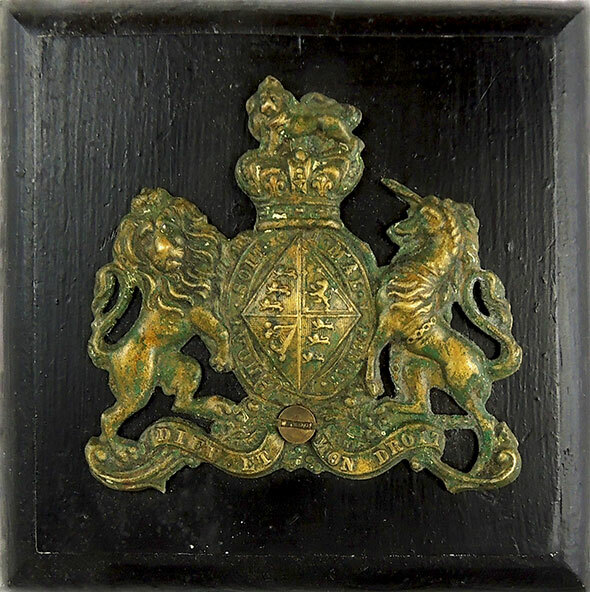 Painted cast iron Coat of Arms with a base and ceramic compass insert. English c. 1870. 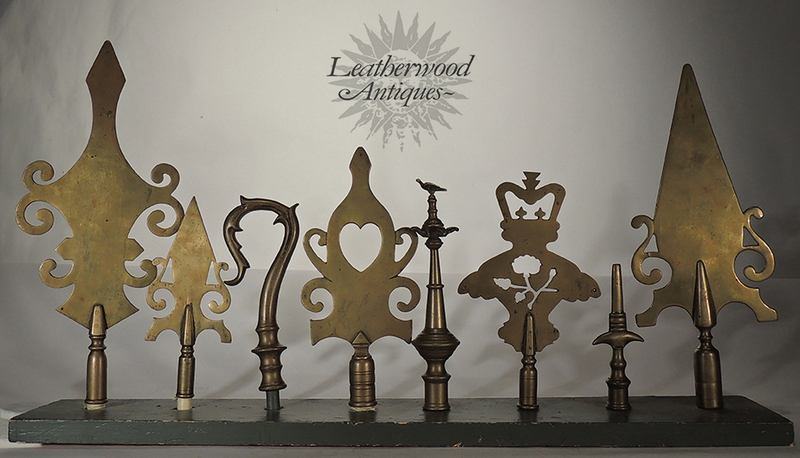 Collection of eight brass staff / pole heads of "Friendship Societies". English, 19th Century. 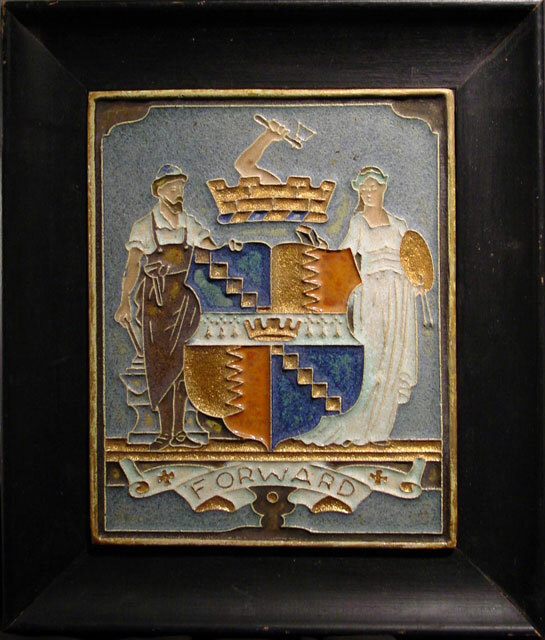 Forward, A Pool Pottery tile of the Birmingham Coat of Arms. English, Early 1900's. 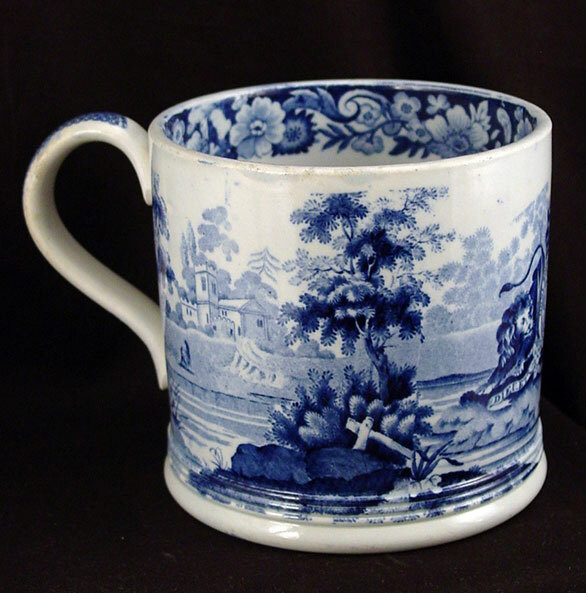 Blue & White tankard with the Royal Coat of Arms. English c. 1820. 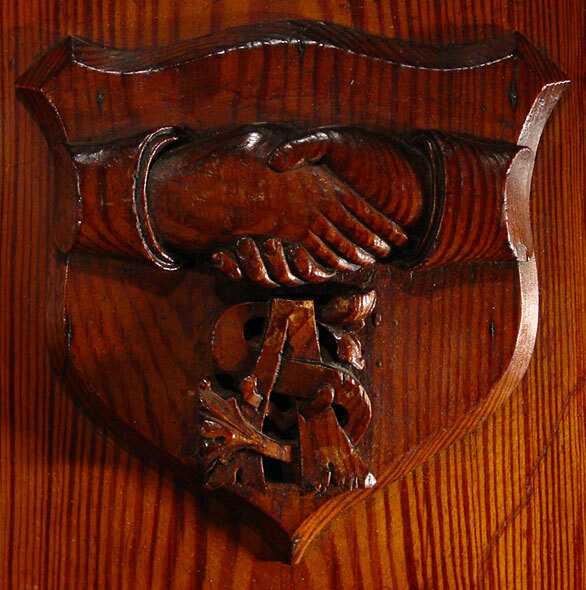 Carved Coat of Arms - City of Wolverhampton. 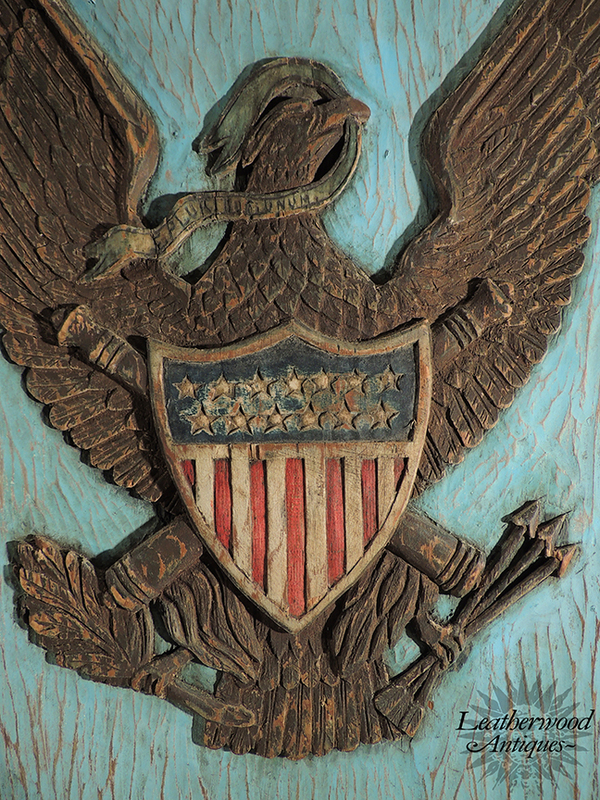 The shield is with a bold star & crescent moon motif and the inscription at the bottom reads Labor, Omnia, Vincit. English c. 1890. Hand painted tin shield. English c. 1870. 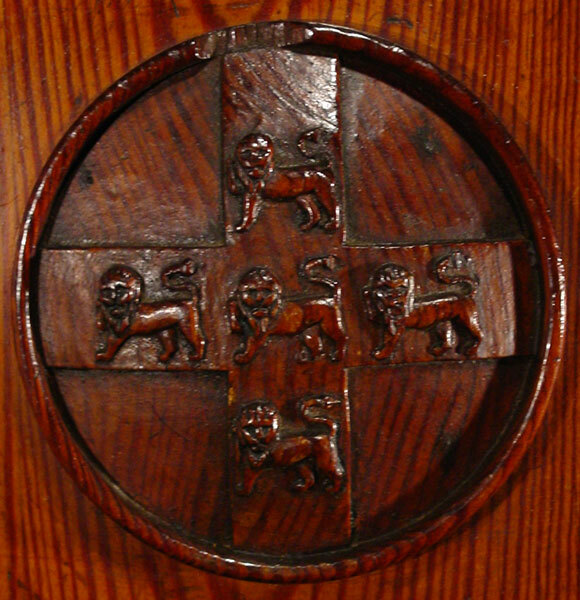 Hand painted Heraldic wooden shield with four lions and center cross with a book in the middle. English c. 1870. 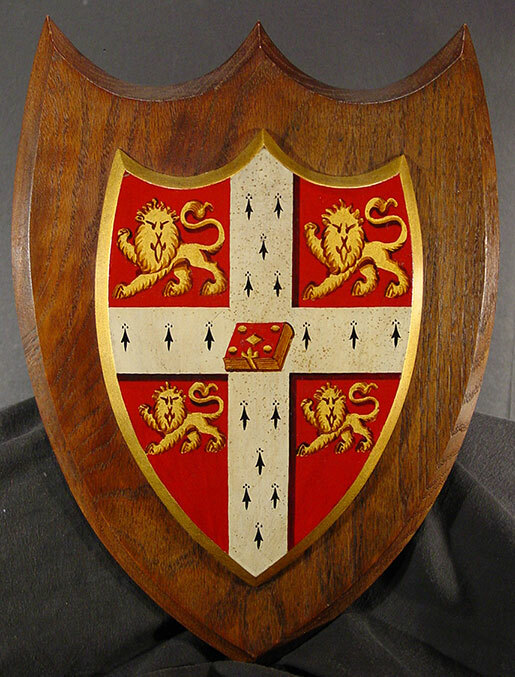 Hand painted Heraldic shield with 3 main circular objects. English c. 1870. 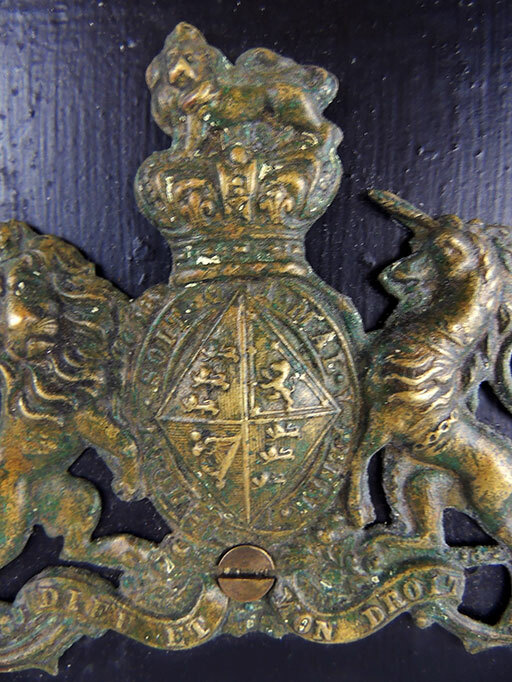 Small bronze Coat of Arms. 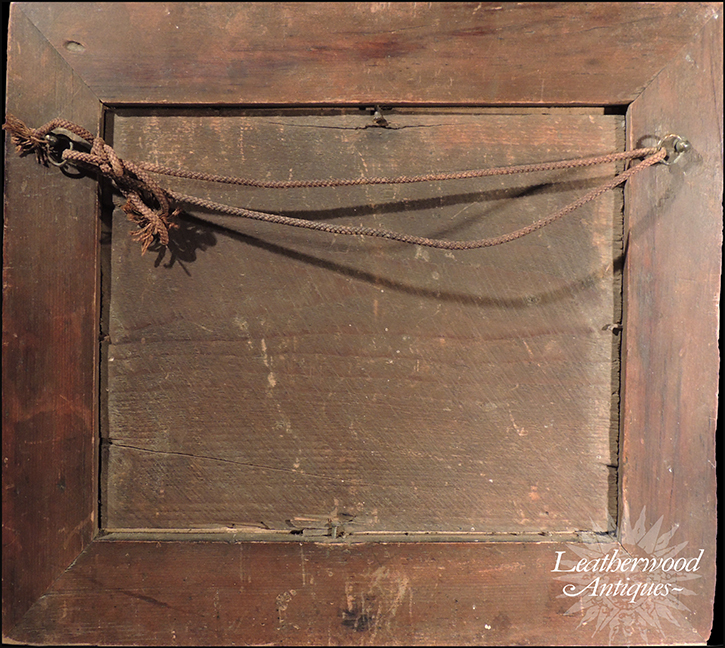 Lozenge on back - "patent". English c. 1864. 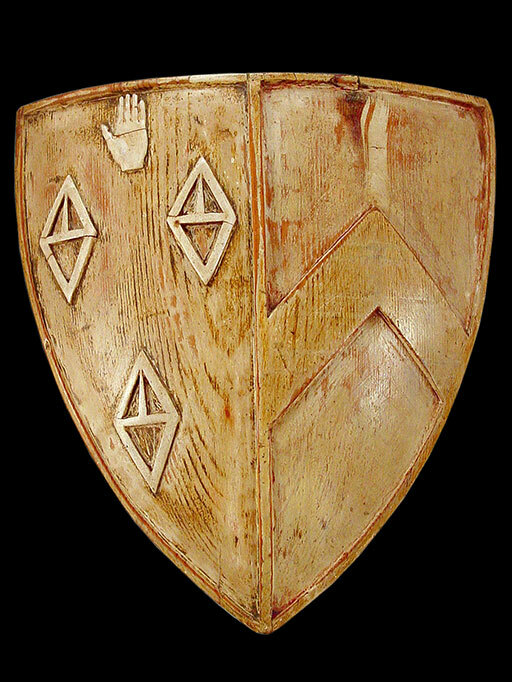 Painted CREST/SHIELD. The motto is French for literally "God and my right" English c. 1850. 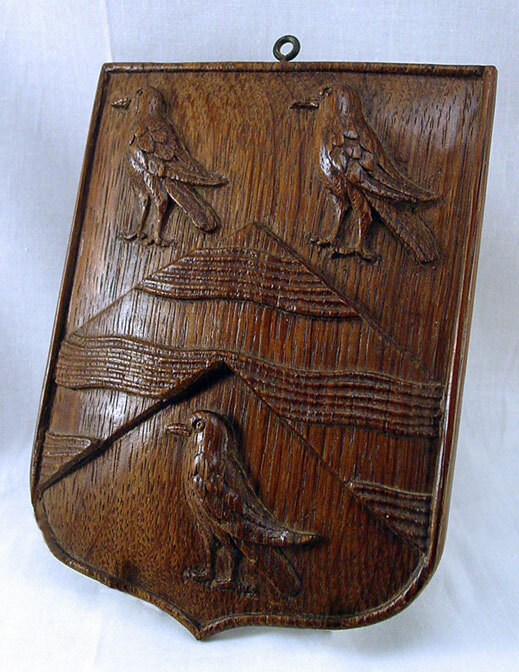 Small carved shield with three birds possibly Coat of Arms of Arundel. English c. 1850. 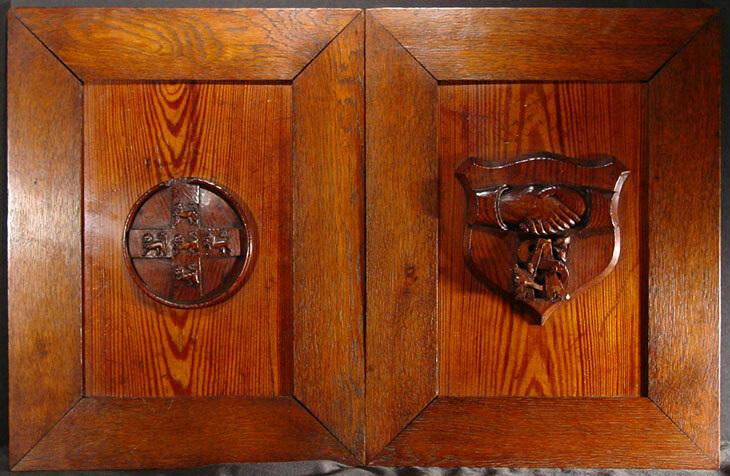 Pair of carved shields with heraldic symbolism. 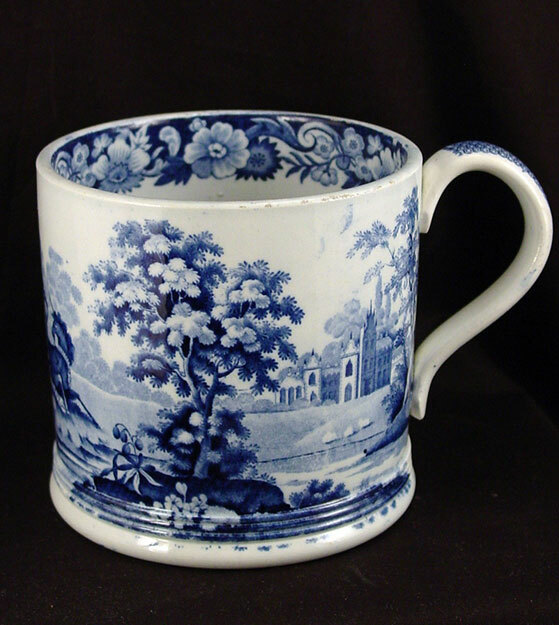 English c. 1800. 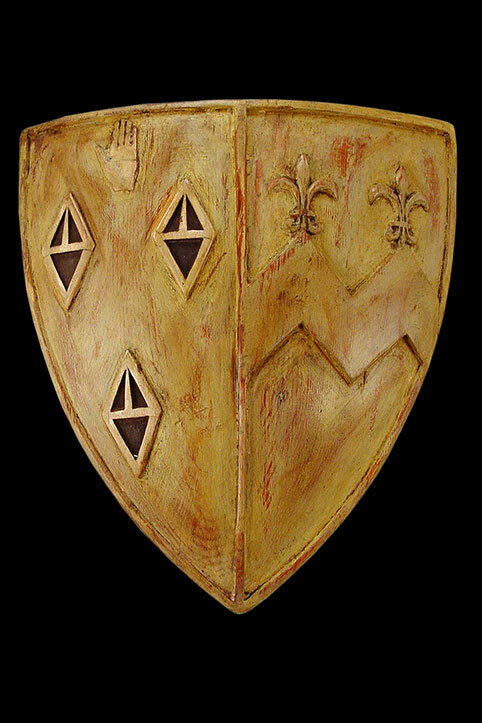 Painted tôle shield with a crown & coat of arms. English c. 1870. 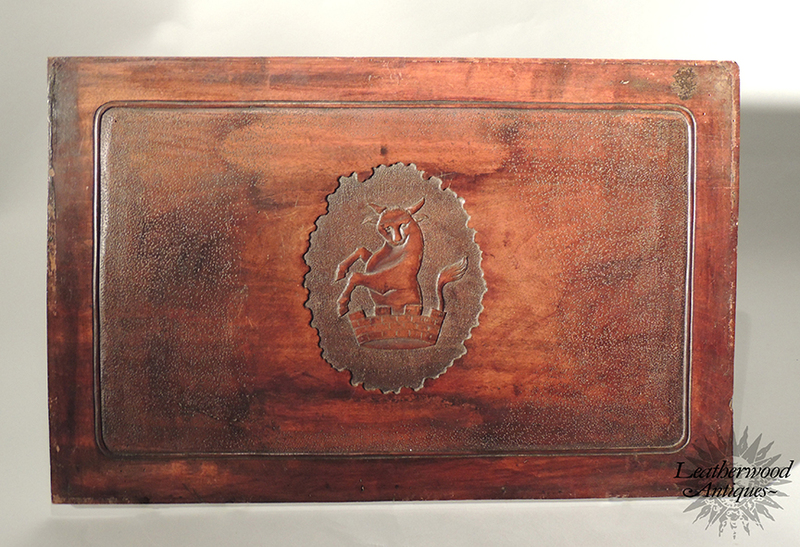 Superb and unusual steal Royal Coat of Arms shield with scrolls. English c. 1880. 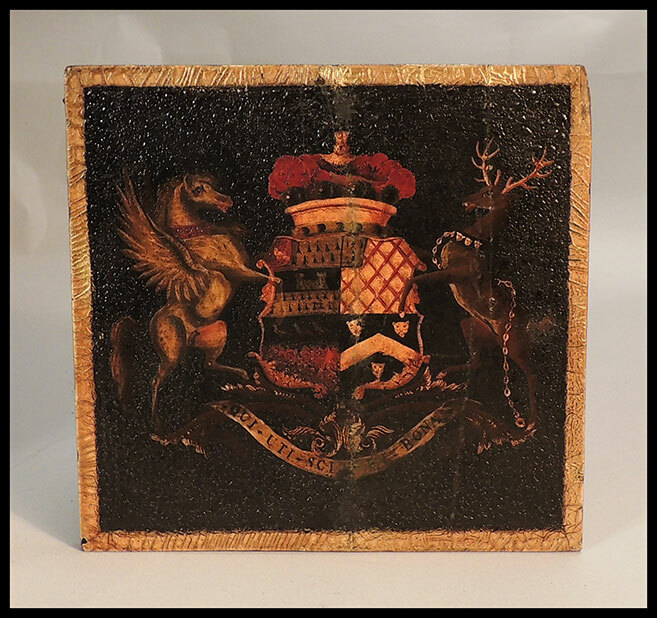 Painted wooden shield / crest of noble / aristocratic family with decorative gilded border. English c. 1840. 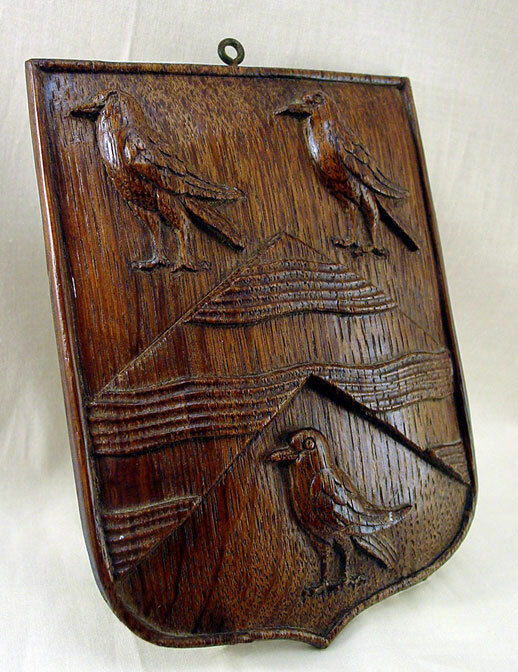 Small coat of arms resting on a later black base. English c. 1820. 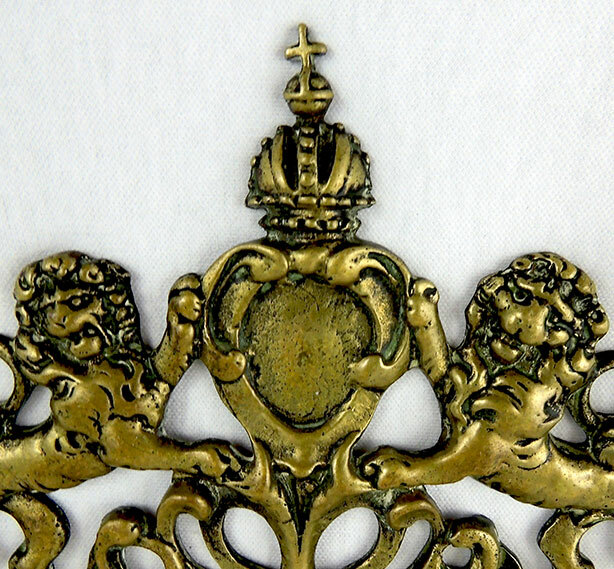 Brass Coat of Arms. English c. 1820. 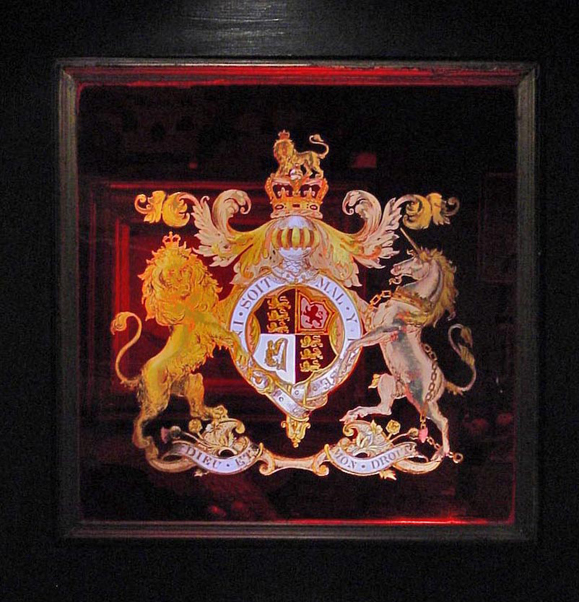 Coat of Arms acid etched on red glass. A pharmacy shop display. 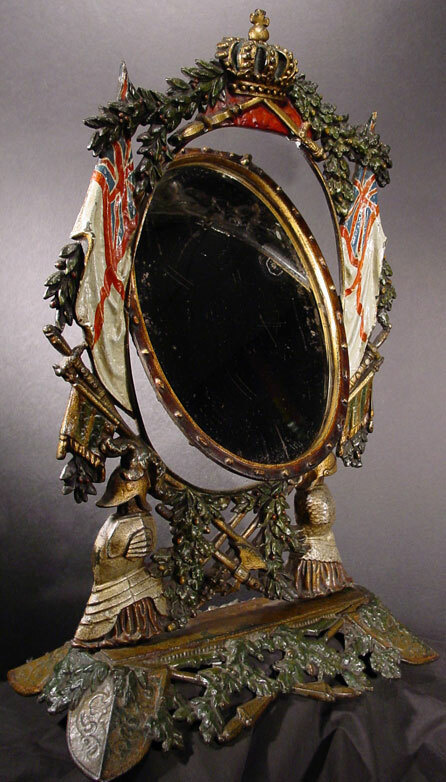 English, Late 19th Century. 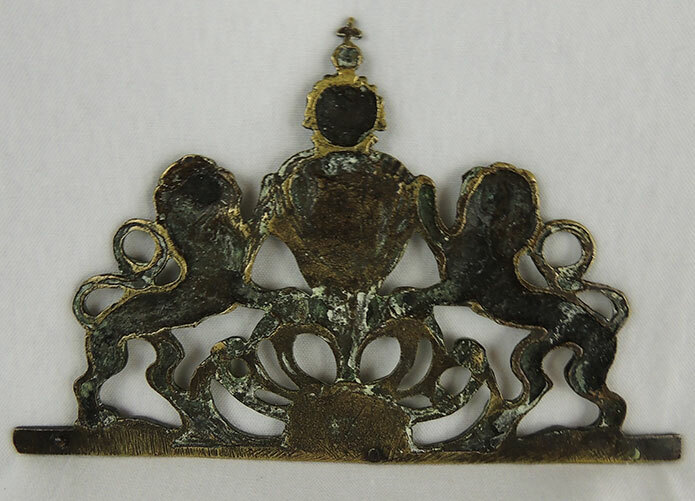 Phipson & Parker gilt brass letter clip, with registered design No. 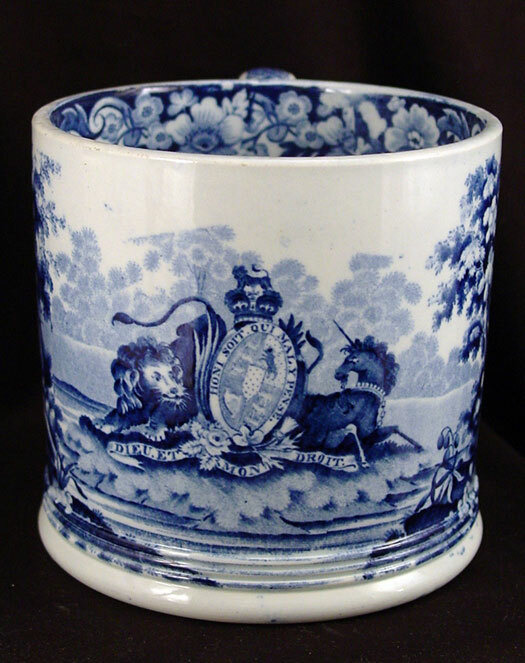 24 for 1843 marked "Reg Octr 3 1843 No 24" and "Merry Phipson & Parker's" letter clip with Royal Arms (Ornate Crown Lion and Unicorn Crest) and black japanned spring. Dieu Et Mon Droit (God and My Right). English, Dated. 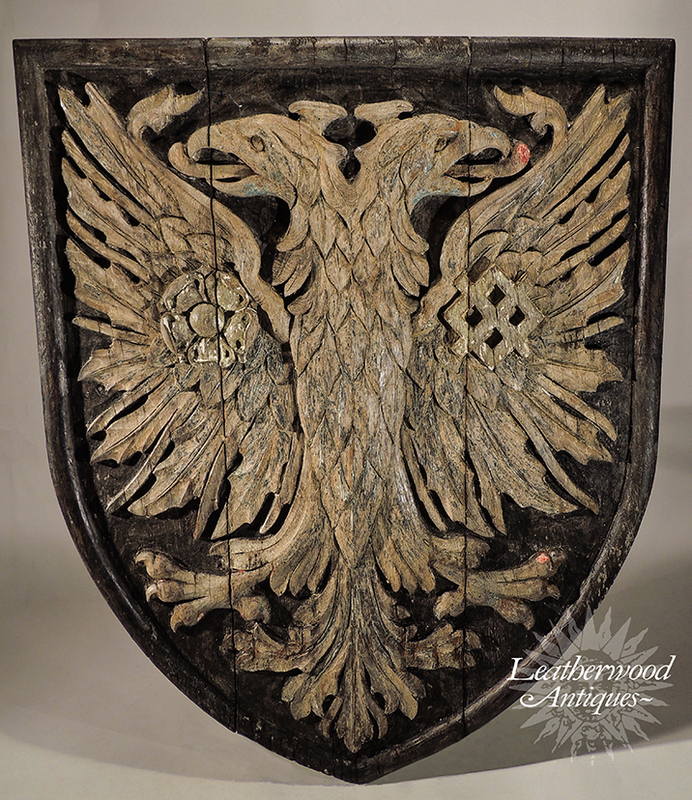 Large majestic boldly carved wooden shield panel with double head eagles which symbolize empire / power from the middle- ages used by variety of empires. This one has tudor rose (traditional heraldic emblem of England) on one wing. 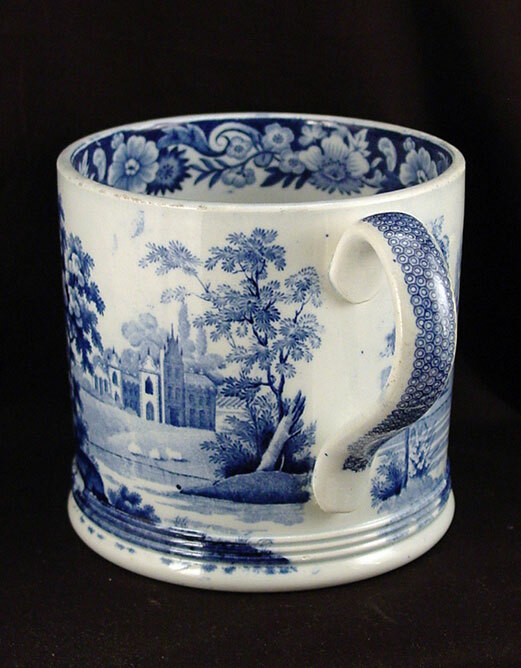 English, Early 1800's. 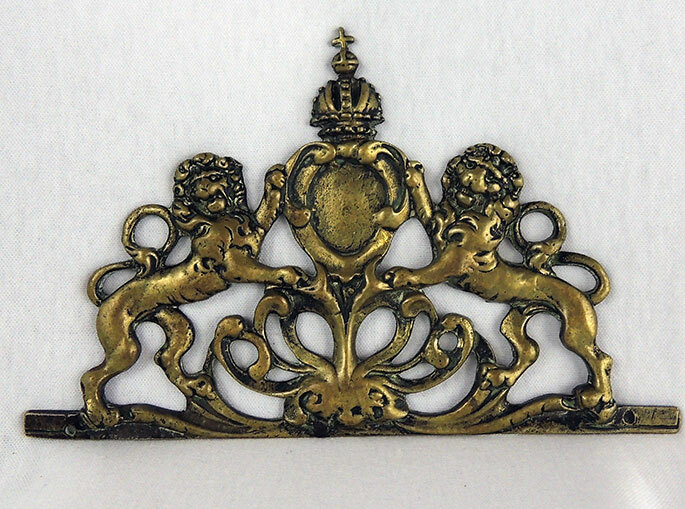 Pair of carved heraldic panels of noble families crest one of clasping hands and the other of lions. English c. 1870. 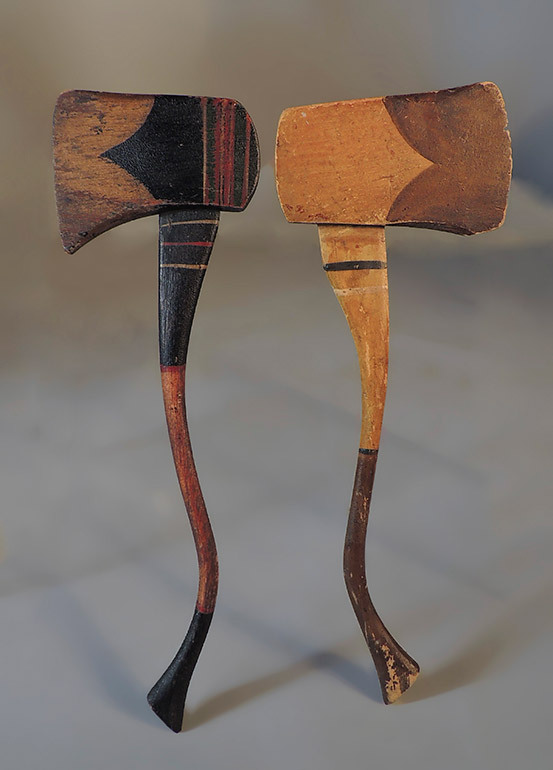 Two rare miniature axes with great surface and paint. 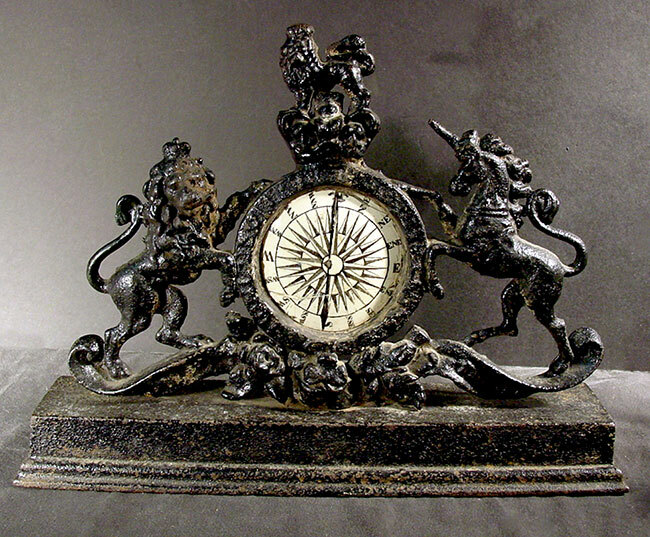 Probably ceremonial for Odd Fellows or Masons. 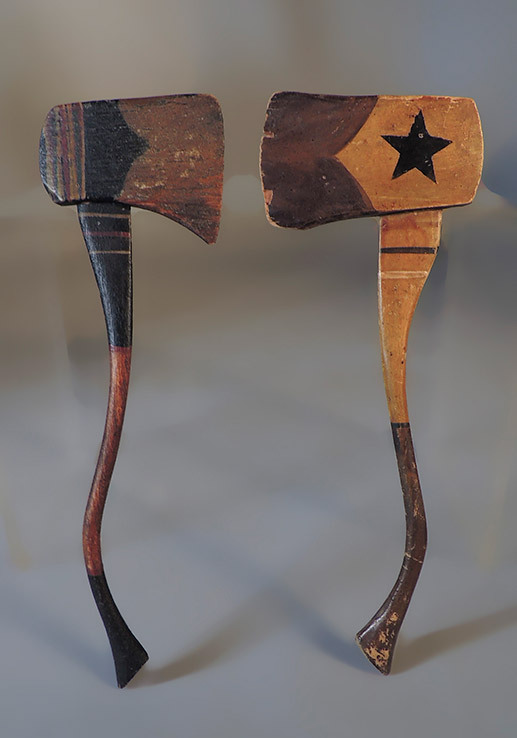 American, Late 19th Century. 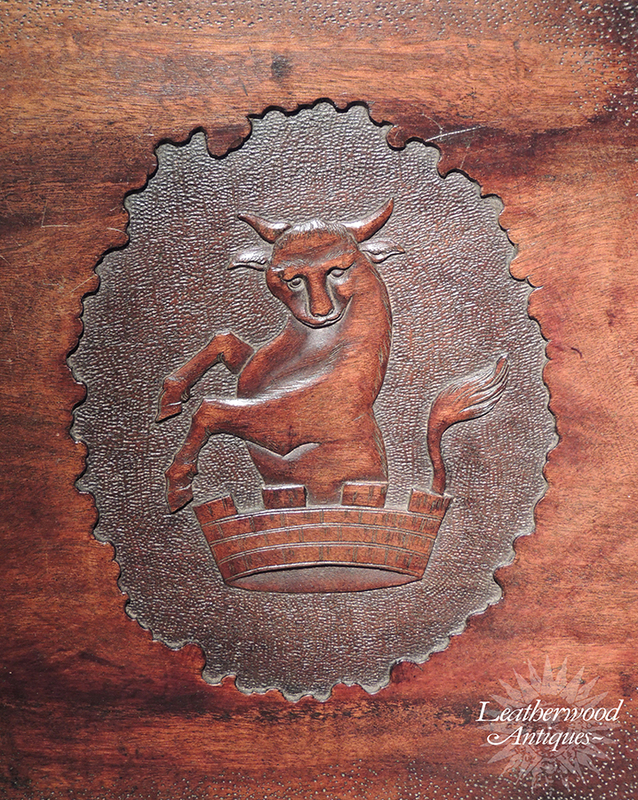 Center carved medallion of bull in a crown motif in armorial panel ~ King Bull. English c. 1790. 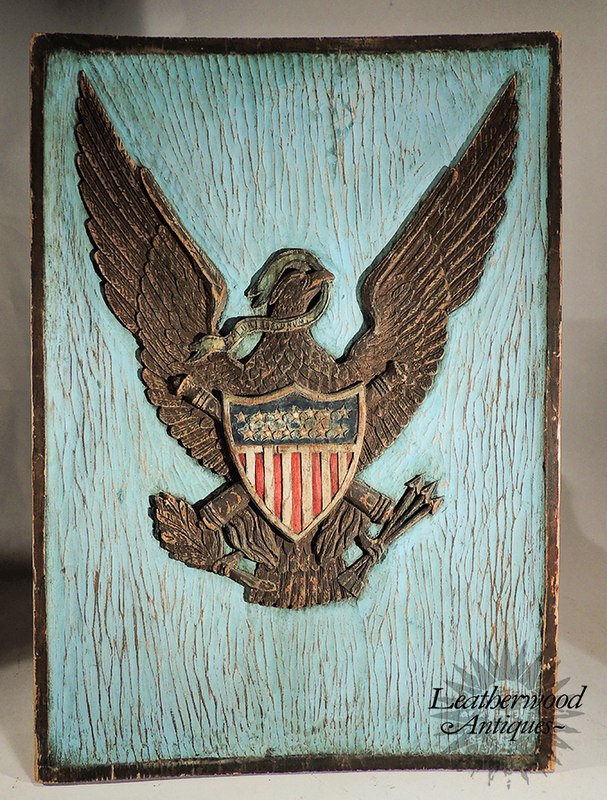 Patriotic carved & painted eagle with American shield relief on a light blue background. American, Early 1900's. 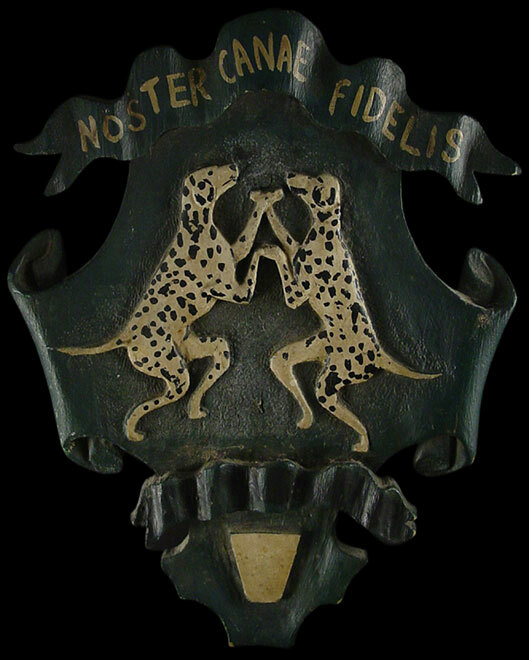 Oil on board painting of a Coat of Arms.PRETIO PRUDENTLA PRESTAT. The Armorial Bearing's of Joseph Richardson & Maria Jane his wife of Swansea. English, Dated 1843. Size: 11 1/2" H x 8 1/2"
Painted oil on board Coach panel with the initials HP surrounded by colorful tasseled drapes. English c. 1820. 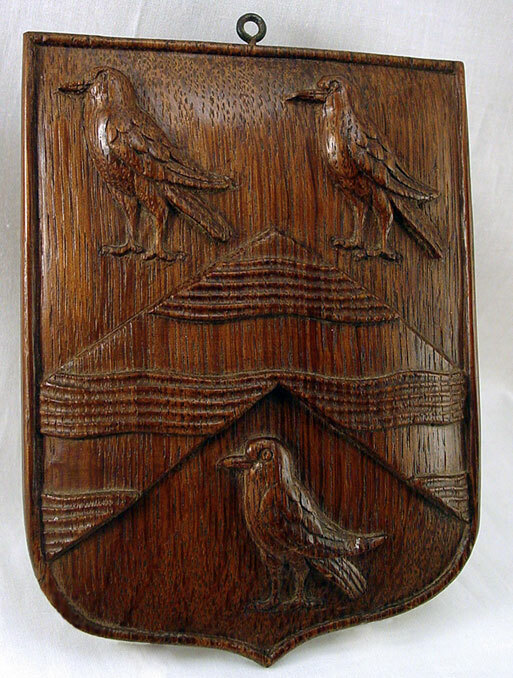 Early English Coach Panel ~ Coat of Arms of Baron Berwick c. 1820. 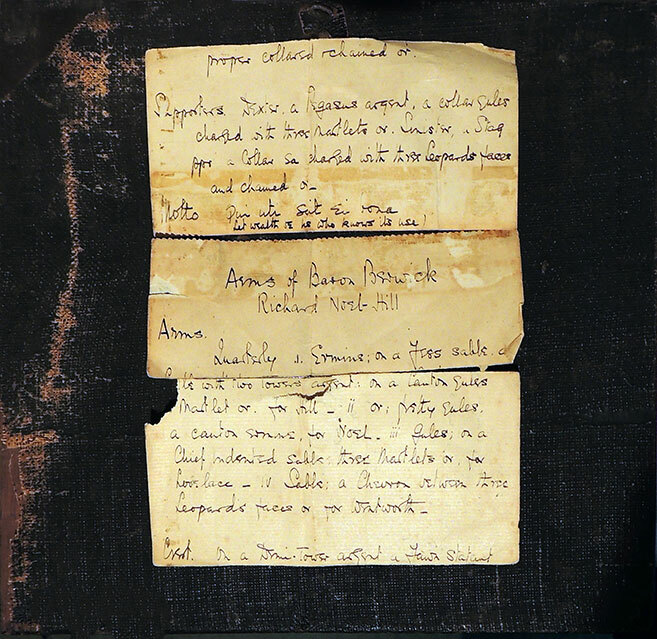 The motto - "qui uti scit, ei bona" tranlates from Latin as, "He should possess wealth who knows how to use it." 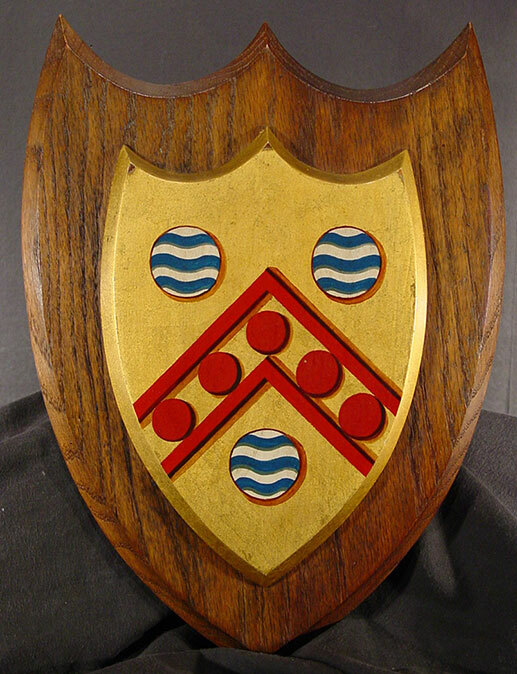 Flag or pipe rack with a crest shield, coat of arms - CAMBRIDGE. 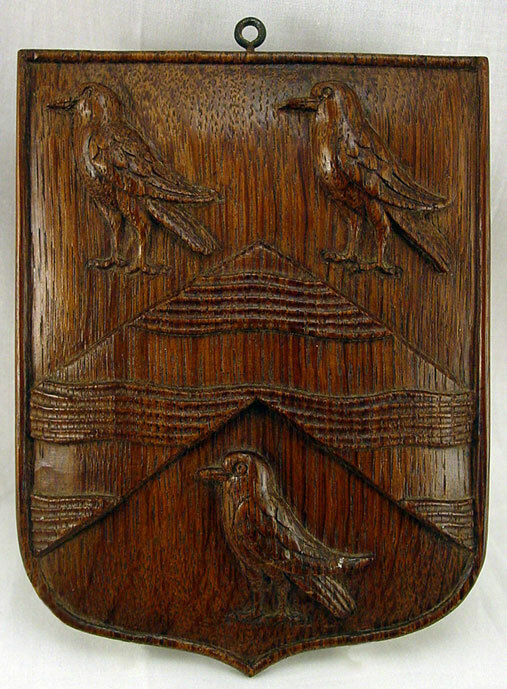 English c. 1900.
lag or pipe rack with a crest shield, coat of arms - CAMBRIDGE. English c. 1900. 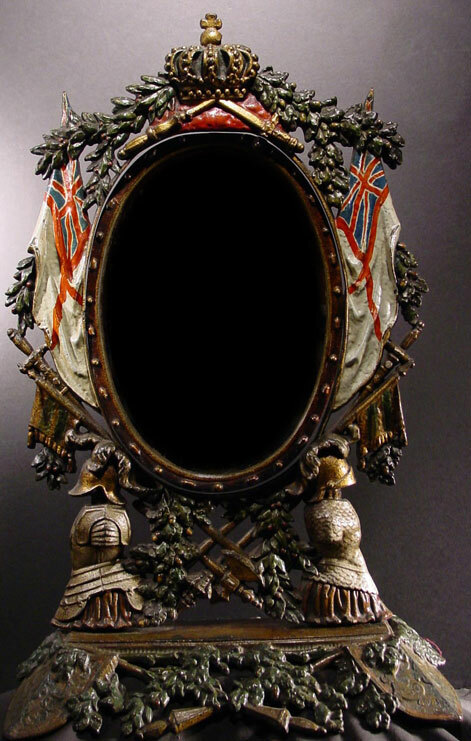 Patriotic English 19th Century cast iron swivel mirror adorned by flanking British Flags, two noble knights and topped by the Royal Crown all in great old paint. English, 19th Century. 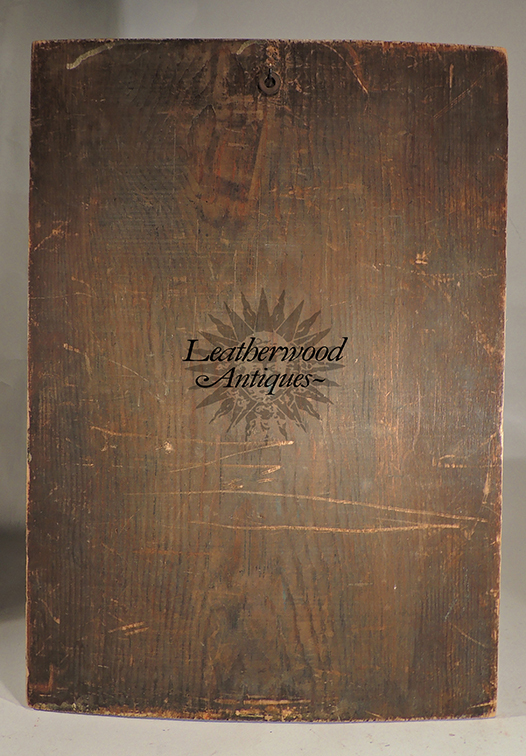 Painted wood box with Harlowquinn edges and royal crown on front. 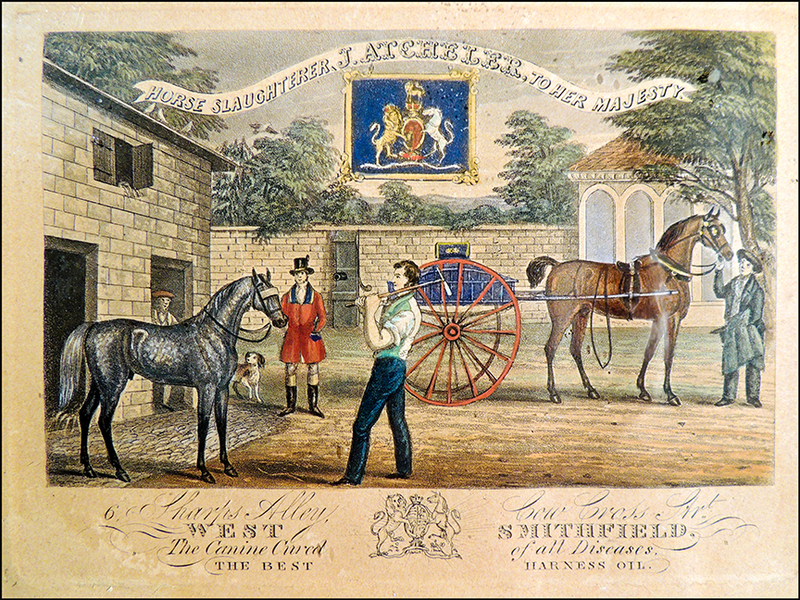 English c. 1830. 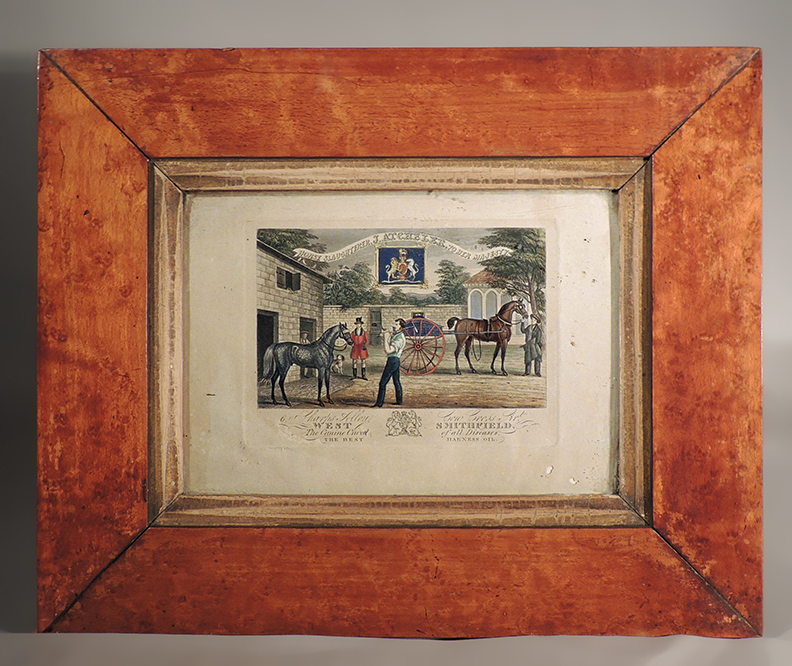 Burr Maple framed business card print / advertising of veterinarian establishment servicing the royal house hold. "Horse Slaughterer, J. Atcheler, To Her Masjesty". English c. 1850. 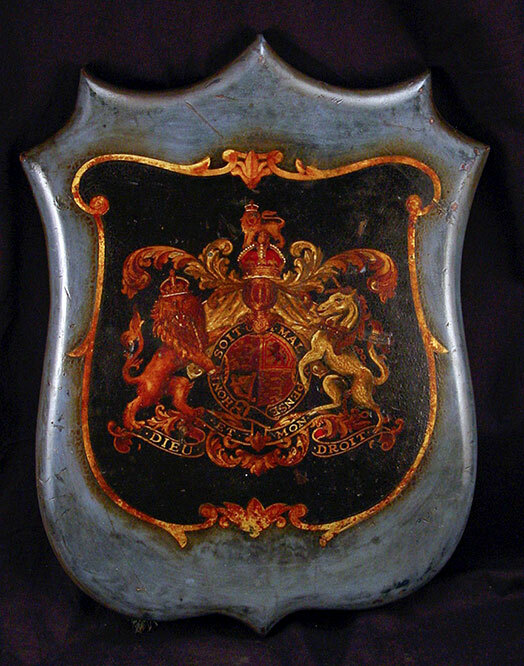 Oil on board coat of arms. 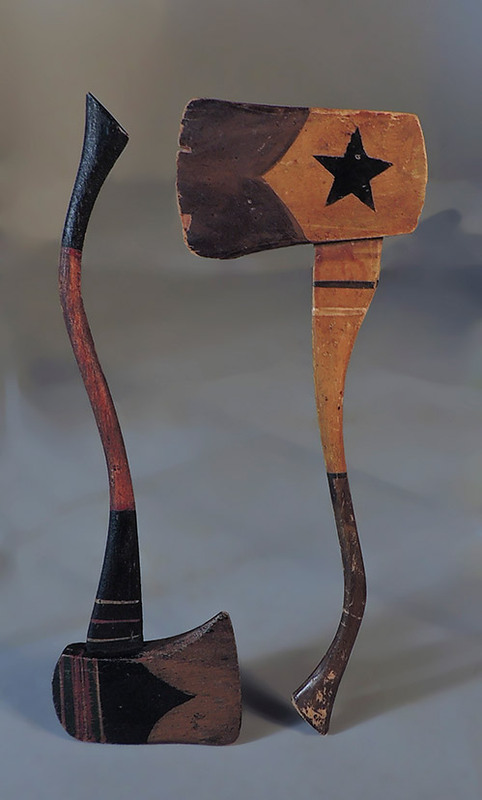 Dieu et. Mon. Droit ~ translated as "God and my right". 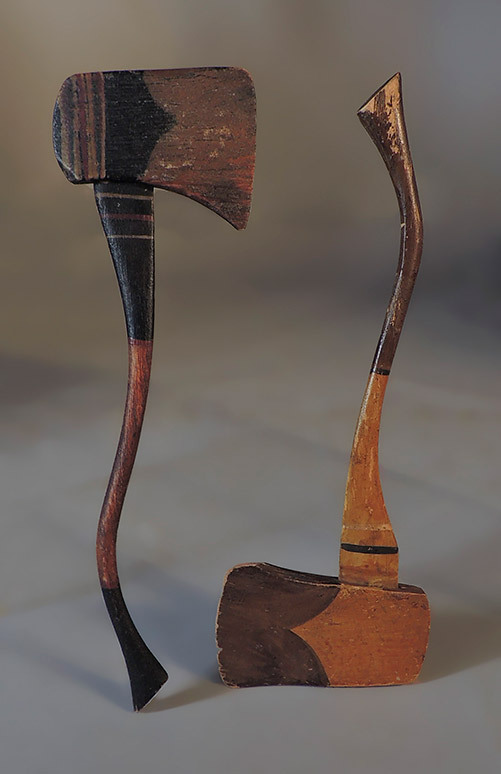 English, Late 19th Century.